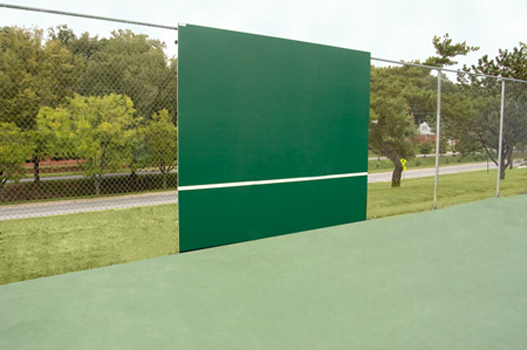 Rally Master Backboards are the perfect compliment to any tennis court. 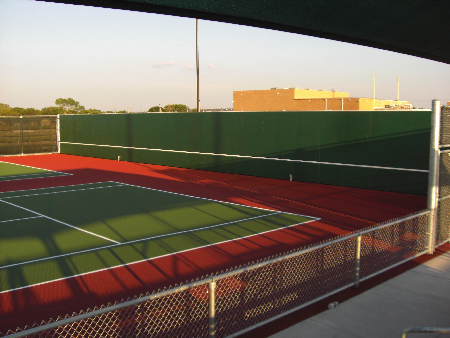 Backboard practice is one of the best ways to develop proper ground strokes and volley techniques and is an integral part of any tennis training program. Whether you’re out to improve your backhand or warm up before a big match, your Rally Master Backboard is ready when you are! Rally Master Backboards are constructed of tough, solid U.V. Stabilized, flexible plastic sheet and corrosion resistant mounting hardware. Rally Master Backboards are covered by an industry leading twenty-year warranty. 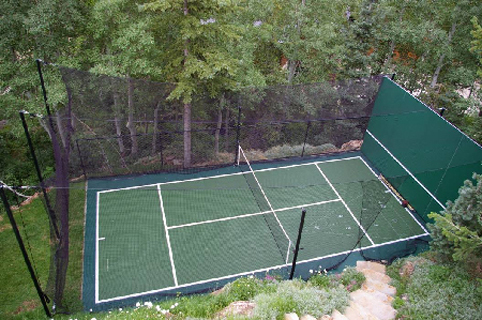 Rally Master Backboards are designed to be mounted onto any structurally sound tennis court fence or can be mounted on posts independent of a fence. All models are ten feet in height and are available in four-foot-wide, paneled increments. 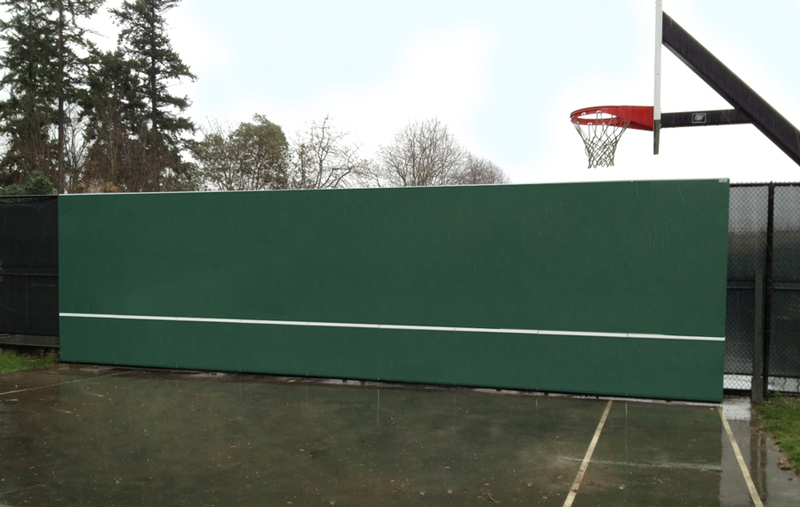 A five-foot-high, heavy-duty “Catch Net” can be mounted above the backboard to catch errant shots. Rally Master Backboards are the perfect blend of form and function. 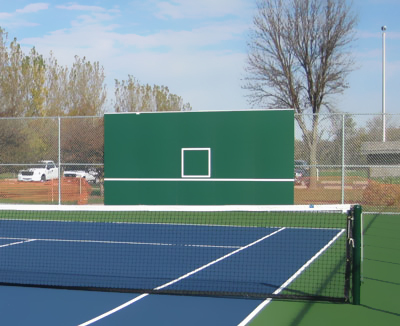 They are significantly less expensive than other non-wood backboards and are perfect for every type of tennis facility.